SLHL asked local interior designers to share their favorite investment pieces. Lighting. Joni Spear, Joni Spear Interior Design. Art. Lauren Sweet-Schuler, Castle Design. Smoke and mirrors console, by Caraole. Ellen Kurtz, Ellen Kurtz Interiors. Crystal cube round flatline chandlier, by E.F. Chapman. Photography courtesy of Circa Lighting. Carol Temple, Pizazz 2 Interiors. China cabinet. Joyce Mathis, MJM Design Company. Light fixture. Nancy Barrett, Beautiful Rooms, LLC. Artisan curved front chest with drawer overlay, by Hickory Chair. Gigi Lombrano, Gigi Lombrano Interiors. 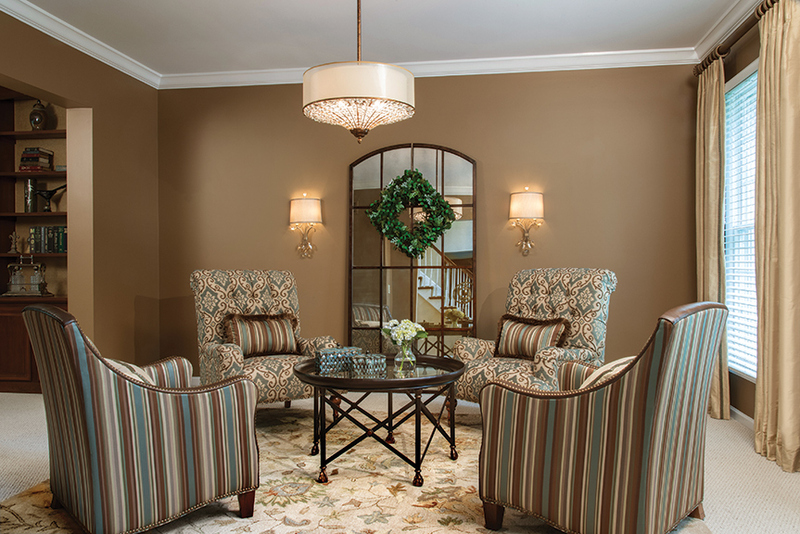 Investing in quality furnishings that you can use for years to come will pay off in the long run. SLHL asked local interior designers to share their favorite investment pieces. “In my opinion, lighting can make or break a room. 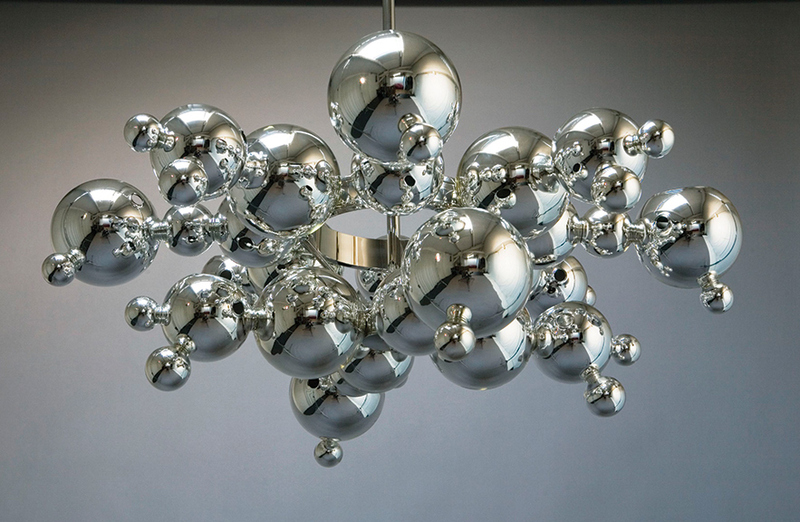 My latest obsession is the ‘Super Bubbles’ chandelier by Charles Paris. It has a modernistic vibe that adds a whimsical touch to any room.” Joni Spear, Joni Spear Interior Design. “When it comes to investment pieces, I encourage my clients to invest in art. Whether it is the inspiration or the finishing touch, art is an important element in any room. Art is personal as it either generates a feeling or is filled with anecdotes as to how it was obtained. It becomes a true and unique reflection of the owner.” Lauren Sweet-Schuler, Castle Design. “I love this entertainment console not only for the functional part, but also for the mix of materials. The darker wood blends well with other pieces in my home. 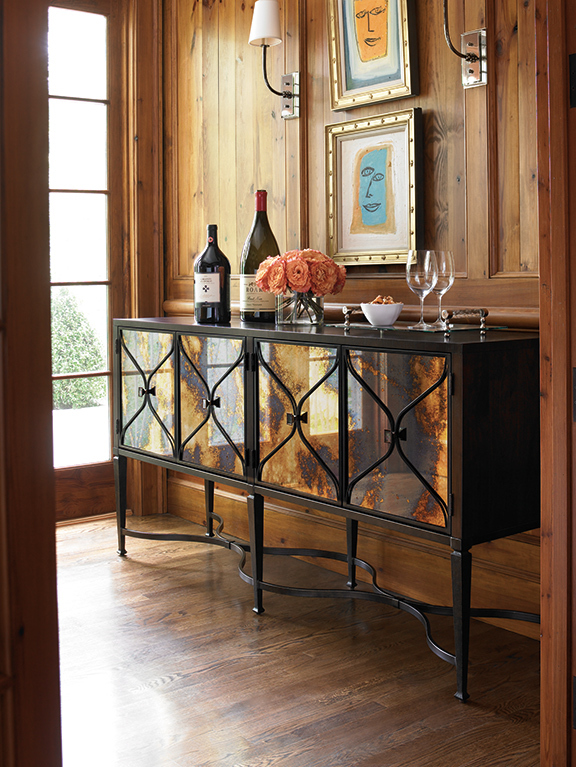 The iron legs and detail on the doors works well with light fixtures, and the reflective quality adds elegance. This piece will function well in a dining space, bedroom as well as a media cabinet. Overall, I will be able to move it in various locations to change the look.” Ellen Kurtz, Ellen Kurtz Interiors. “Lighting is so important to the ambiance you create in your home. 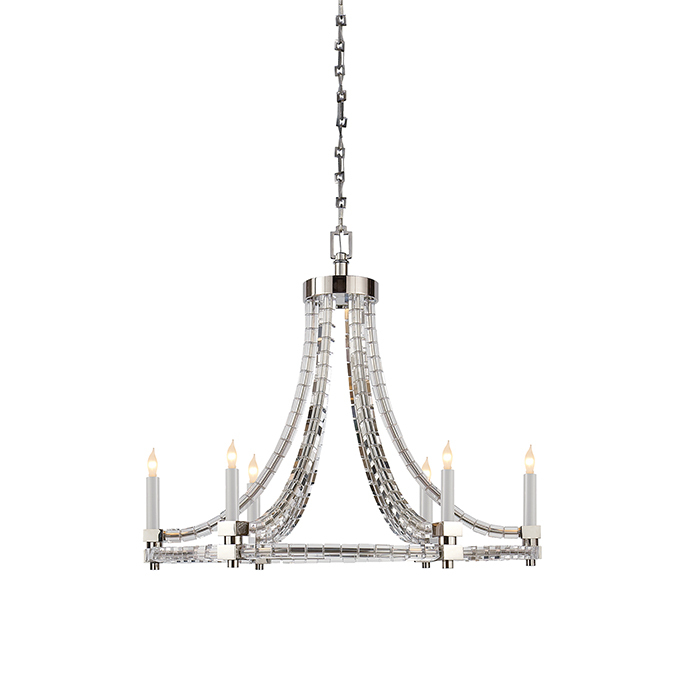 A chandelier in the dining room should be a versatile, timeless piece that serves as a point of interest. The size is key, whether it is one or two fixtures, based on the length and shape of your table. And don't underestimate the importance of a dimmer switch!" Carol Temple, Pizzazz 2 Interiors. 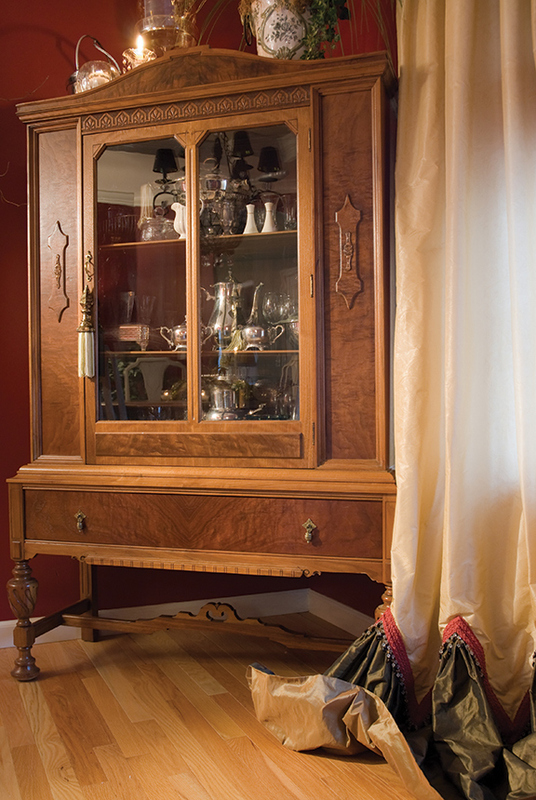 “Although not looking for a dining-room china cabinet, this piece was available in a favorite shop at a very good price point. After stripping away layers of uneven glaze and mottled base coat, what a surprise was revealed! 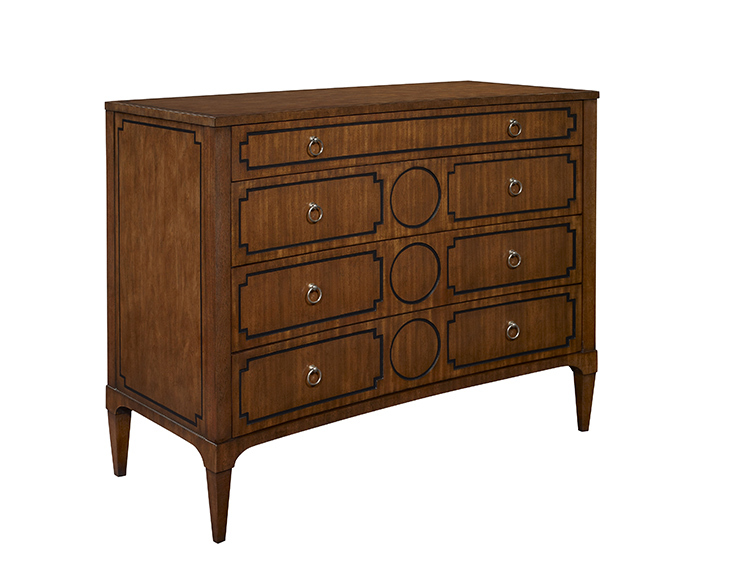 Research shows this walnut piece is reminiscent of heirlooms from the 1920s. A find like this will remain in our family for generations!” Joyce Mathis, MJM Design Company. “Light fixtures provide function, but interesting light fixtures can change the atmosphere of the space. Even better, crystal accents are like the jewelry of the room!” Nancy Barrett, Beautiful Rooms LLC. “I love a chest as an investment piece! It's supremely versatile, you may use it in any number of rooms and it provides a wonderful grounding element to any space as well as often needed storage. A classic chest adds character and personality to any design style, thus making it a terrific investment for years to come.” Gigi Lombrano, Gigi Lombrano Interiors.